The recent victor, Jair Bolsonaro of the Presidential election in Brazil, declared to an Israeli newspaper his plans to move their embassy to Jerusalem. Brazil joins the growing list of countries which includes Guatemala who also has made the same declaration. Bolsonaro, a 27-year congressman with few legislative achievements who overcame chaos within Brazil’s political establishment to win the presidency, will take office Jan. 1. He has indicated frequently that he hopes for a closer relationship with Israel. The feeling may be mutual. 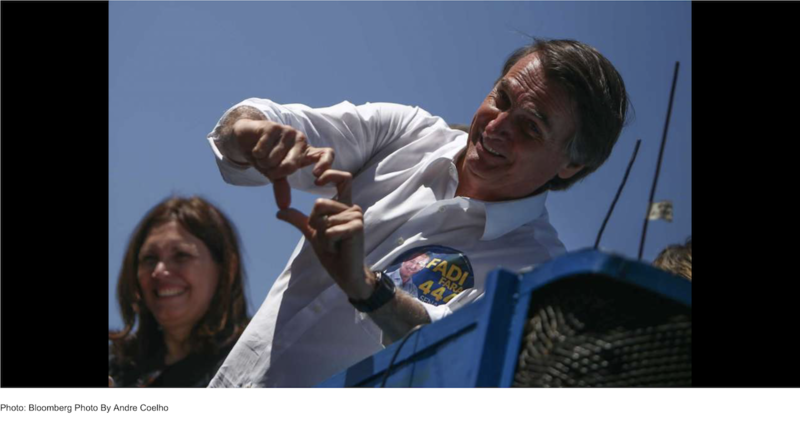 Israeli Prime Minister Benjamin Netanyahu tweeted that he had congratulated Bolsonaro on his election victory. The Israeli leader is widely expected to attend Bolsonaro’s inauguration next year. Bolsonaro is also expected to make Israel his first foreign trip. In his interview with Israel Hayom, Bolsonaro pledged to support Israel on the international stage. “Rest assured that you can depend on our vote in the U.N. on almost all the issues having to do with Israel,” he said. No Comments on "Brazil’s President-Elect Tells Israeli Newspaper He Plans To Move embassy To Jerusalem"